Enterprise class networking solutions for distributed or centralised estates. Wireless networks are vital to enterprise operations; from simple internal and external communications, to highly sector-specific applications. Effective operation of this service is essential for the broader efficiency of the organisation and your end user experience. A reliable wireless service when part of a wider mobility device management service will both enhance reputation and grow revenue. Systal’s solutions provide access to a new generation of mobility application tools accessed by wireless technologies and platforms. 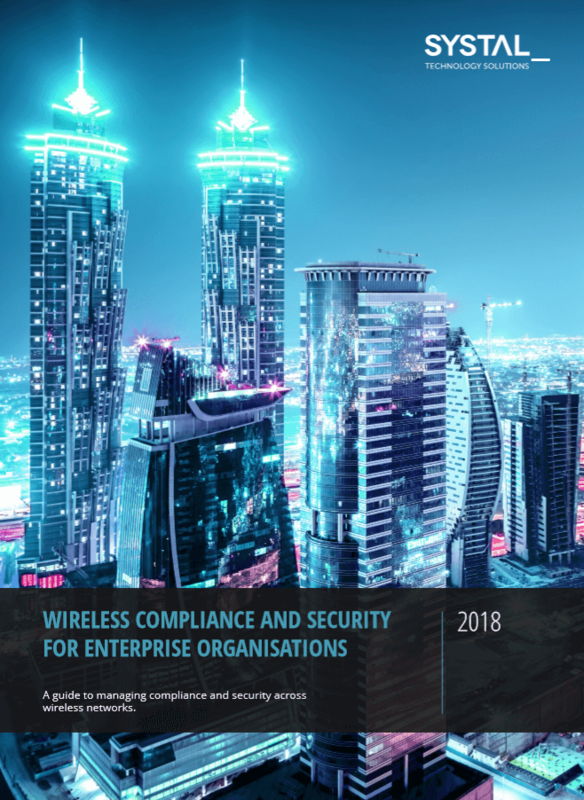 Ensuring watertight security and all relevant regulatory compliance for wireless networks is a key challenge for almost every organisation’s IT department. As experts in Wireless technologies, we have developed a guide to help organisations navigate the challenges, setting out the five keys stages of wireless network management. To read the whitepaper, please complete our form and you will be emailed a link to download the paper. Thank you. No Infrastructure Costs: Systal SmartWiFi service uses Cisco Meraki multitenant public cloud hosted management infrastructure which eliminates the need to build out costly data centres and other infrastructure. Lower staff requirements: Systal SmartWiFi intuitive management reduces engineering hours and staff training requirements. Integrated wireless, security, switching and mobile device management solutions give operations staff a single pane of glass view and a set of common management tools across the service. Scalability On Demand: Systal SmartWifi network scales up to tens of thousands of endpoints per network. In addition, back-end cloud resources provision automatically as deployments grow, enabling elastic scale of the solution by simply deploying more endpoints at our customer’s sites. Simplified Branch Network Setup: Systal’s SmartWifi solution makes it easy to support customers with many branch offices without the operational expense of multiple site visits and on-site engineers. Meraki hardware simply needs to be connected to the Internet. Once installed, devices will self-configure, and ongoing management can be performed remotely over the web. Automatic, self-configuring site-to-site VPN and WAN optimisation create secure, high-performance links between sites. Effortless Upgrades: Systal SmartWifi solution makes upgrades troublefree. Since the management system is web-based, new features require no client or server-side upgrades. New features are added to the cloud dashboard several times per year without disruptive downtime. It also manages firmware upgrades centrally, freeing network administrators from involvement in keeping APs up-to-date. Firmware upgrades take place over the air in a secure, fault-tolerant fashion. API Access and Historical Statistics: Having a hosted service available makes it easier to create enterprise applications that build on the network. Systal SmartWifi solution offers a secure, XML-based API that can be used to produce custom monitoring and reporting applications, without installing additional software or hardware on site. At Systal we go beyond simply building and installing your wireless network. As well as surveying, designing and implementing new wireless network infrastructure, we can take your existing hardware and wireless configuration and make recommendations to improve the end user experience. 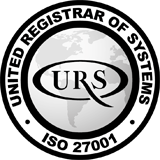 We deliver the basics as well as ensuring all ongoing monitoring, configuring and troubleshooting are handled by us. With our unique, fully scalable products, based on CISCO and CISCO Meraki, you can remove the burden and complexity of managing your own wireless network and focus on your core business. Streamlined Cost Model: A single pricing model includes maintenance, support, and ongoing feature releases – this can be offered in a flexible pricing model either as a one-time charge capital expenditure model or as monthly operational expenditure model. Increased Efficiency: Pre-staging and site visits can be eliminated via self-configuring hardware. Systal’s dashboard and remote live tools make maintenance easy for both on-site staff and centralised Network Operations Centre employees. Automatic Cloud-Based Optimisation: We provide round-the-clock optimisation of the network. Dynamic wireless channel planning monitors and mitigates interference, ensuring the network is operating at peak performance. Mesh routes are also constantly updated to ensure maximum client throughput. Systal’s planning and design services help you to identify and proactively address crucial business and technical considerations before you expend time and resources implementing your Wireless Network solution. Systal provide full lifecycle management maximising ROI on client assets. Standard deployment processes are implemented maintaining consistency within the wireless network environment. Utilising best practice industry design standards. Systal provide a consultative approach to working with our customers to offer a design suited to business requirements. Equipment associated with a wireless network can often be challenging to maintain records for. Systal’s systematic approach can help clients control assets and licensing.